Another ISP that doesn't deliver? Like many of the other posters here on the forums, I hadn't had a problem with the internet the first few days that I had the service. 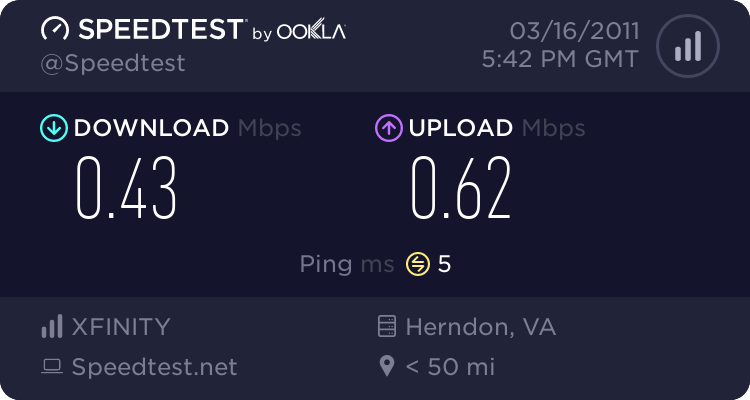 Now that I've been at work and now have a few days off again, I have had severe issues with my internet speeds. These test hopefully won't be the average that I will come to experience. I've check my connections, reset my router settings, gone through the complete self-help guide, have called to have a refresh signal sent to my modem; yet I have not been able to rememdy this issue. 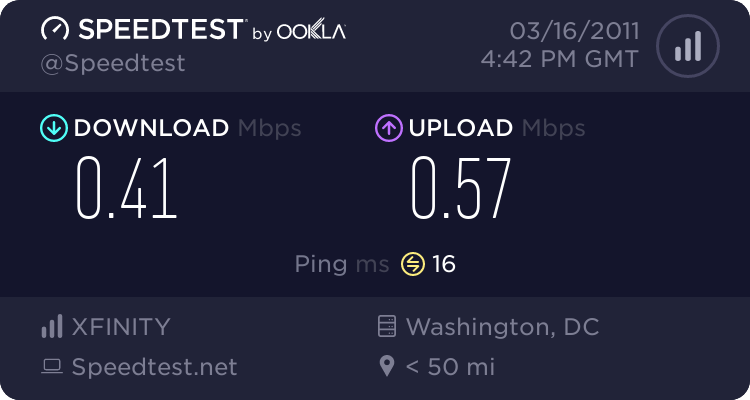 Re: Another ISP that doesn't deliver? someone will take a look at the info (if you post it) and see if we can see any obvious issues.